Adjustments are a fact of life for nearly every company, so, with rare exception, all good employees should know how to go about handling adjustments. Depending on your line of work, adjustments could be a frequent and routine task, or they could be a task with which you are quite unfamiliar. Manufacturers of physical goods, for example, probably encounter requests for replacement products on a daily basis, whereas service providers like cleaning companies might encounter adjustment requests only rarely. As an example, such requests might come in the form of a customer realizing they have been overbilled for a service and requesting an adjustment on their invoice. Whenever possible, try to deliver the good news immediately and with little pretense. This helps to set an amicable tone for the rest of your message. You should never promise that the customer’s future experiences with your company will be problem-free, because, in the unlikely event that something else should go wrong during a future transaction, the customer will be sure to remember this broken promise and hold your company understandably accountable. Instead, you can promise on behalf of your company that such mistakes are rare and that you will avoid making similar mistakes in the future. But never make a promise on which you aren’t one hundred percent sure you can deliver. Explain in the adjustment letter what went wrong on your company’s part and how you plan on correcting the customer’s problem. This explanation should be kept short so it doesn’t seem like your company is making excuses, but it is important to explain what went wrong so the customer can see that these types of mistakes are not habitual for your business. The customer will be far from impressed if you use employees, coworkers, or partners as scapegoats. This reflects very, very poorly on your company. It is also worth noting here – however obvious this may be – that you should never place blame on the customer, regardless of whether or not they might deserve it. Make up for your mistake. 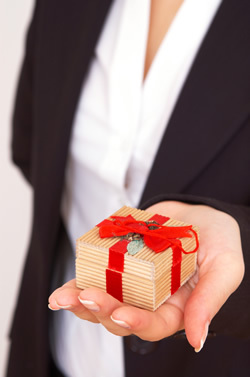 In order to ensure that the customer accepts your apology, it is often a good idea to include some sort of gift or incentive with your response. This should be within reason, of course, and should reflect the severity of your mistake and the level of anger or disappointment expressed in the customer’s adjustment request, but gift certificates and coupons are rarely unwelcome. Just take care that this friendly gesture does not come across as bribery in exchange for the customer’s compliance. Remind the customer of the solution you’ve proposed, not the problem that brought them to you in the first place. This keeps their focus on your company’s ability to deliver good service, not on the mistakes you’ve made. Granting adjustments is a skill that employees in every field should possess, but, luckily, composing an effective adjustment response that grants a customer’s request is not a difficult task. Both you and the recipient of your message are usually on the same page, so it will actually be very difficult to compose a response that won’t be well-received. Responses that refuse adjustment requests, however, are quite a different story and are covered in detail in the second part of this article. "Sozo understands our needs and vision."